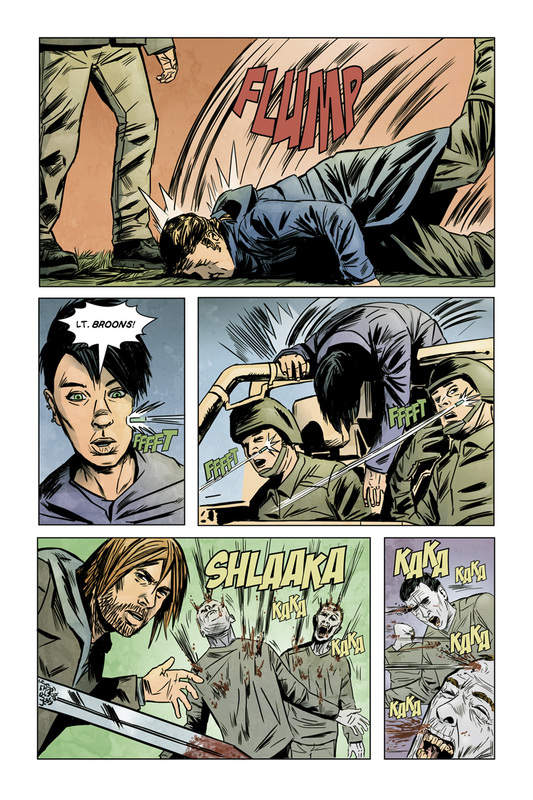 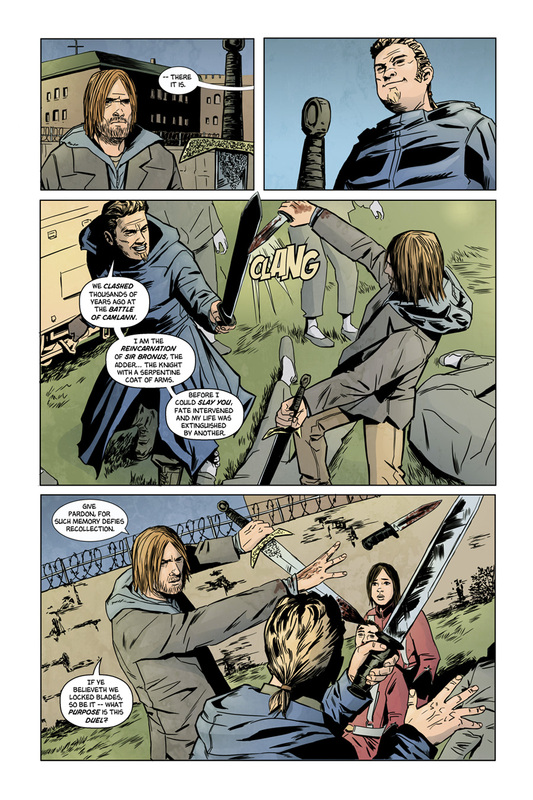 The Fellowship has obtained a first look at DEAD FUTURE KING #4 from Alterna Comics. 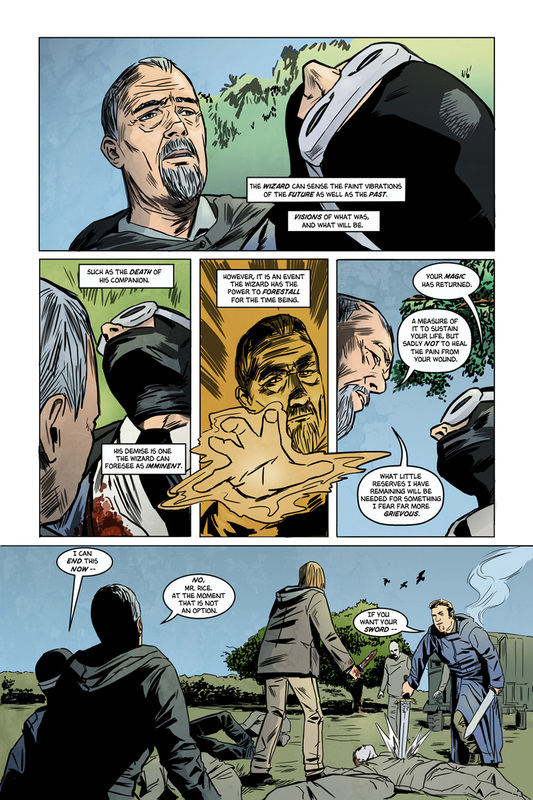 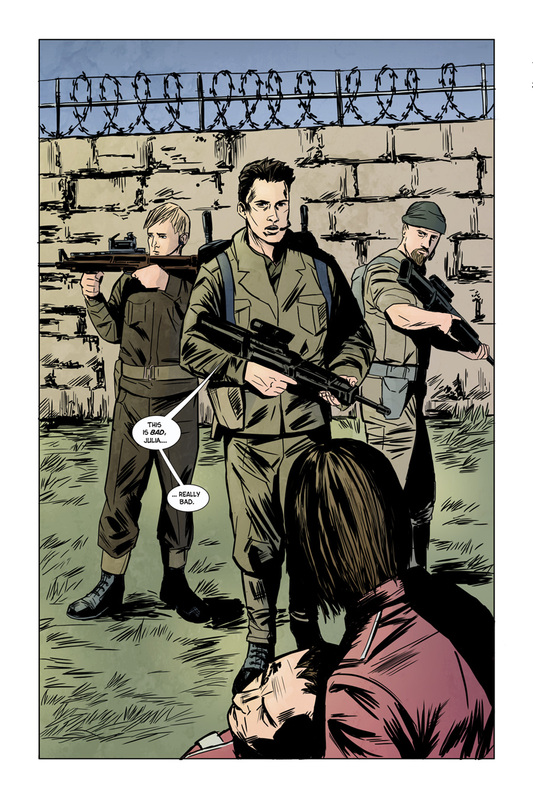 The issue, which hits ComiXology July 1st, is written and illustrated by David Flores. 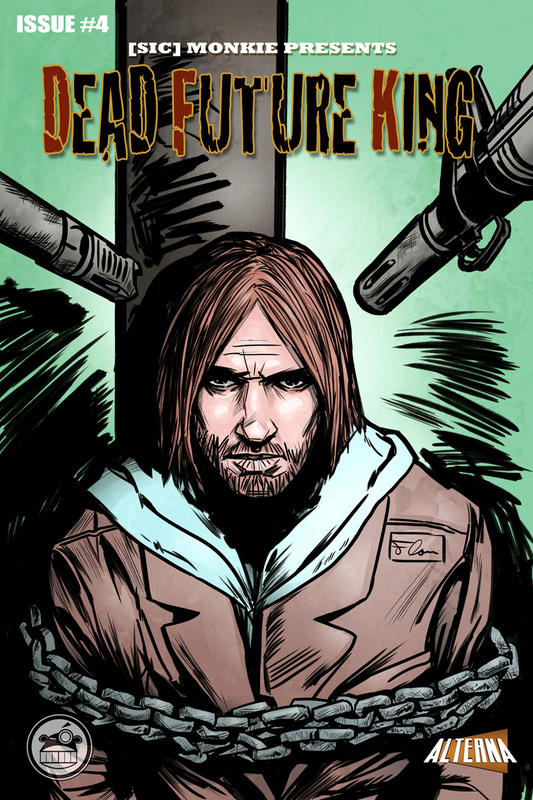 A murderous squad of Marauders and their zombie horde have Arthur cornered. 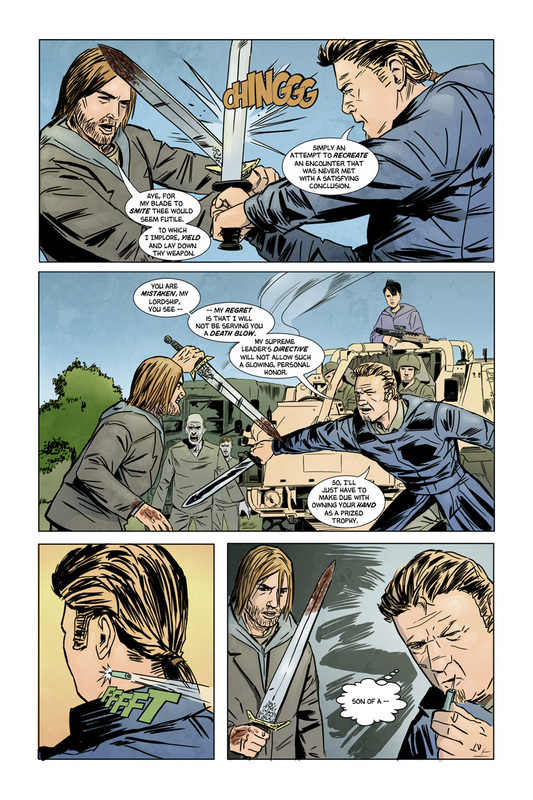 Locked in a deadly duel with the Marauder leader, Arthur must overcome this insurmountable foe or succumb to a grisly end.